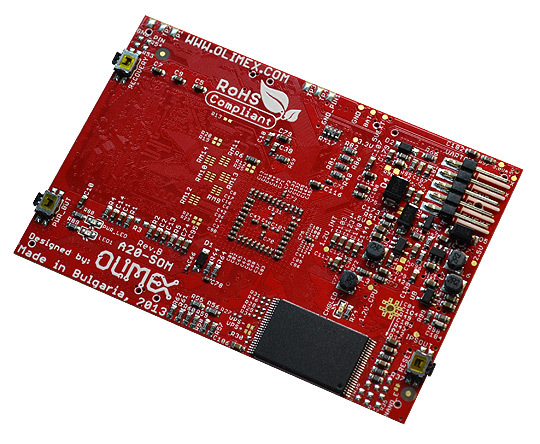 A20-SOM is System on Chip module, which contains A20 Dual Core Cortex-A7 processor, Power managment Unit AXP209, 1GB DDR3 memory and optional 4GB NAND Flash. All A20 signals are available on 6 connectors x 40 pin with 0.05" step. 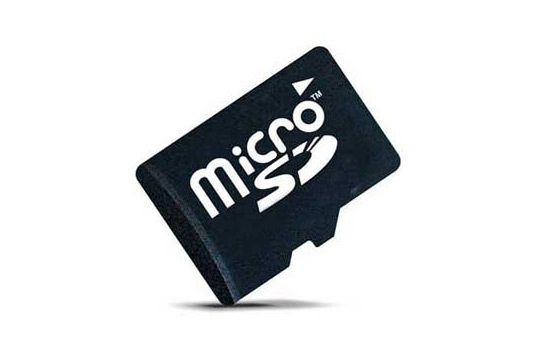 A20-SOM have UART console connector and SD-card. 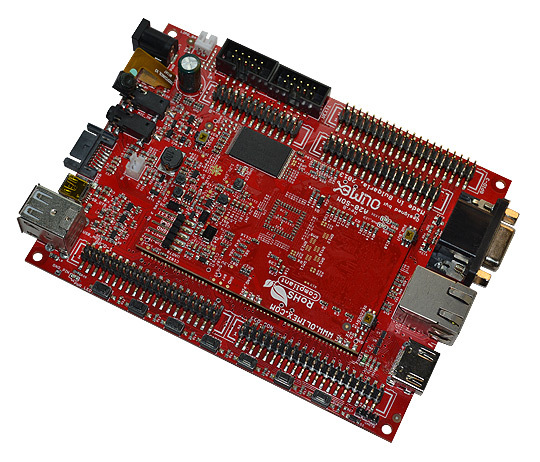 Reference design for A20-EVB with VGA, HDMI, Audio In/Out, 2 Mpix Camera, Gigabit Ethernet, SATA, USB-OTG and 2 USB hosts is available with Eagle CAD files, so everyone can modify and tailor to his needs. Templates for A20-SOM receiptacle done in Eagle and KiCAD are available. 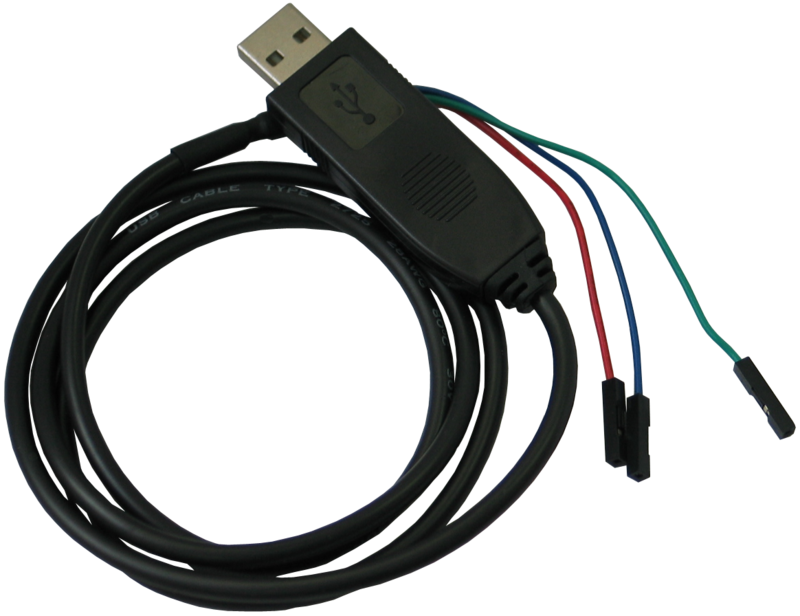 T2 is a pin-to-pin compatible SOC from Allwinner designed for Automotive applications. T2 operating temperature is -40+85C. 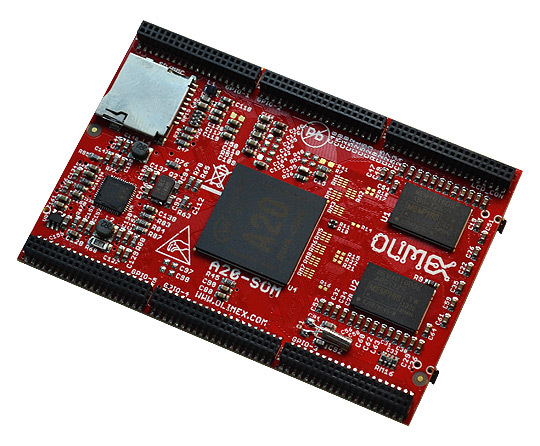 T2-SOM version is with all components operating in temperature -40+85C including SOC, DDR3 memory. 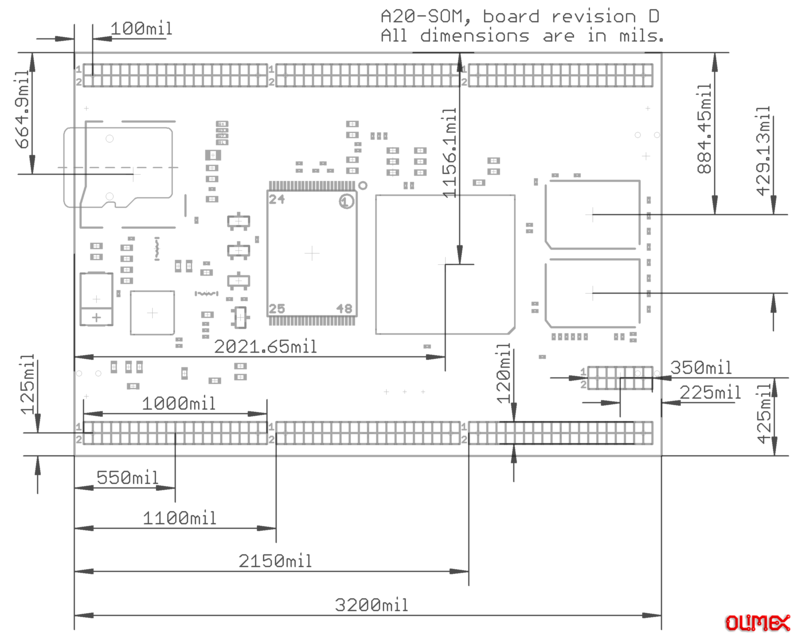 How do I remove the A20-SOM main board from the A20-SOM-EVB peripheral board? It looks like a very tight fit. Try to use a thin and long object as a lever. Carefully place it on a spot that won't damage other components. Push each side slowly up before attempting to pull out the A20-SOM from the A20-SOM-EVB's connectors. Never try to remove the whole side in one go! Doing so would most likely damage the connectors and the male pins! Always try to symetrically push up the A20-SOM frm the EVB.